Each person can learn at the pace that best matches their learning style and existing knowledge of the material. Mandatory tests verify knowledge retention. And students can review and re-test until they achieve a passing grade. Interactive quizzes and scenario-based exercises keep learners engaged and reinforce key concepts. Responsive design works equally well on phones, tablets, and computers. All you need is an internet connection! Upon successful completion of a course, participants can download/print a Certificate that includes their name and the date of training. Safety Services Canada works to provides employers and employees with the knowledge and training necessary to work safely. They endorse this course as a key educational component of occupational health and safety training. Diversity encompasses all of the ways that we are different from each other, including factors like ethnicity, culture, religion, age, gender, sexual orientation, and sexual identity. In a respectful, inclusive workplace, diversity is valued, and individuals feel safe and appreciated. This course explores both acceptable and unacceptable workplace attitudes and behaviors. Participants learn how to identify situations involving discrimination, harassment, or bullying, and how to respond appropriately. Interactive exercises help learners gain practical insights into ways to build and support a more inclusive workplace environment. Most participants will be able to complete training in less than one hour. The Canadian Gay & Lesbian Chamber of Commerce created this introductory course as a foundational step for organizations seeking to create an LGBT+ inclusive workplace culture. Participants learn about the history, current issues, and terminology associated with LGBT+ identities, and the challenges faced by LGBT+ individuals in the workplace. Interactive exercises offer opportunities for learners to evaluate the existing workplace environment and explore ways to support an inclusive culture where everyone feels safe, respected, and valued. This course was created by The Indigenous Leadership Development Institute of Canada as a core training tool for organizations working with Indigenous Peoples. Participants learn about the diverse histories of Canada’s Indigenous Peoples and the challenges and opportunities they face today. Content aligns with the Truth & Reconciliation Commission of Canada’s Calls to Action (2015). This training helps participants gain understanding of the Indigenous perspective on key issues and developments, including: the history and legacy of residential schools, the United Nations Declaration on the Rights of Indigenous Peoples, Treaties and Aboriginal rights, Indigenous law, and Aboriginal-Crown relations. Most participants will be able to complete training in 1-2 hours. Unconscious biases affect everyone. In the workplace, these biases can undermine logical decision-making and create an unfair playing field, where some people have advantages over others. This course identifies common types of unconscious bias, examines the negative effects on individuals and organizations, and provides practical tips for mitigating those effects. Interactive exercises help to reinforce key concepts and provide opportunities for participants to consider their own biases and explore ways to overcome them, and support a more respectful, inclusive workplace culture. Most participants will be able to complete training in less than 30 minutes. As the public face of community events, charitable organizations, and the corporate sponsors that support those events and organizations, it is important for volunteer workforces to be diverse and inclusive. Each volunteer, and each of the persons they serve, should feel safe and respected at all times. This course has been designed specifically for volunteers. Participants learn about acceptable and unacceptable behaviors, and how to respond appropriately in situations involving discrimination, harassment, or bullying. Practical, scenario-based exercises help to build greater awareness and understanding of ways to support an inclusive volunteer environment, where diversity is valued and everyone feels respected and appreciated. Young athletes publicly represent their sport, sport organizations, schools, and communities. It is very important for them to treat other players, coaches, officials, and spectators with respect and behave appropriately at all times. This course teaches adolescent and teen athletes about acceptable and unacceptable attitudes and behaviors. They learn how to recognize situations involving discrimination, harassment or bullying, and how to respond appropriately. Scenario-based interactive exercises provide opportunities for participants to explore practical ways to build and support a respectful, inclusive team, where each player feels safe, has fun, and enjoys participating. 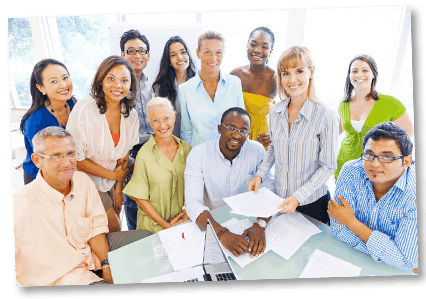 If you require diversity and inclusion training for an organization in the United States, please visit the American Diversity Initiative website.